We are pleased to present ins2outs version 2.5.1. In order to improve experience of new organizations on ins2outs platform, in version 2.5.0 we’ve changed the approach to manage Users within a Role. 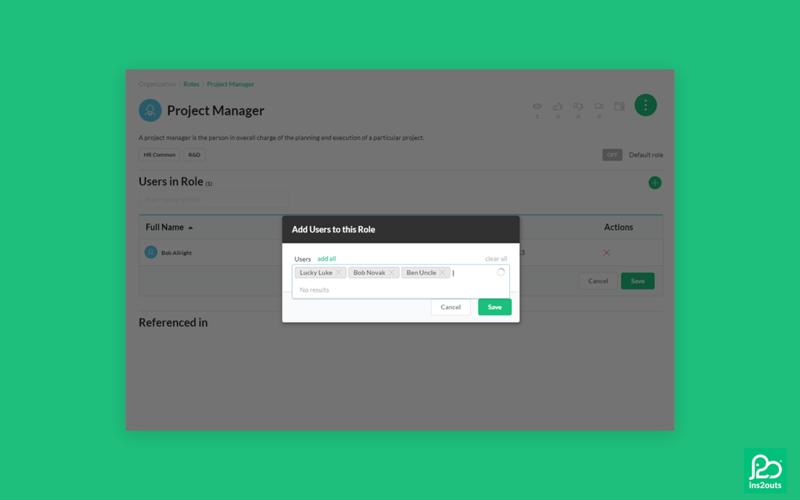 First, managing Users within a Role (adding, and removing) is now available not only from the Role’s edit mode, but also from the view mode, which means, that changes made to Users list are not impacting the version of the Role content page. On top of that we’ve implemented a convenient method of adding multiple Users to a Role. This method of adding multiple elements is going to get more traction in future releases.